La Lyra is a recently founded ensemble that takes on different projects, conceived and performed by the plucked strings specialist Bor Zuljan. Centred on the long Renaissance period, the original and rarely heard programmes all combine a creative approach with musicological research. The ensemble has collaborated with soloists, such as Pino De Vittorio and Jeffrey Thompson, and has performed at some major European festivals. Bor Zuljan (1987) is active in different musical genres and projects and searches for a synthesis of contemporary and early music, different world music traditions, jazz and improvisation. He plays guitars, early and traditional plucked string instruments, such as different kinds of lutes, vihuela, oud and the tar. The search for the connection between sound, image and word led him to collaborate in different interdisciplinary projects. He is an active performer in different musical fields: in early and traditional music he collaborated with musicians such as Pino De Vittorio, William Dongois and Jeffrey Thompson, groups such as the Capella Mediterranea and the Concert brisé, and performed in the most important festivals. He has been equally active in contemporary music, performing with the ensemble Contrechamps, the Vortex ensemble, soloists such as Kai Wessel, and collaborating with composers such as Helmut Lachenmann and Klaus Huber. He has had many concerts with Dusan Bogdanovic and performed as soloist with the Slovenian Philharmonic Orchestra, the Geneva Camerata, and the Ernen festival orchestra. From 2011, he is the artistic director of an early music festival Dnevi stare glasbe in Slovenia. His critical edition of Gorzanis' Second lute book has recently been published by the Slovenian Musicological Society. After graduating in jazz and classical programmes at the Ljubljana Conservatory of Music, he continued with his studies with Aniello Desiderio in Koblenz, Germany. In 2007, he started studying at the Haute Ecole de Musique de Genève where he then obtained a Bachelor’s and Master’s degree in Guitar and Lute (Dusan Bogdanovic, Jonathan Rubin), continued with a specialization in Medieval music and finished an MA in music pedagogy. From 2011 to 2013 he worked as research assistant at the same school and is continuing with a PhD on Fantasia improvisation at the Centre d'Etudes Superiéures de la Renaissance in Tours. He has received teachings from lute and guitar players, such as Hopkinson Smith, Eduardo Egüez, Pascale Boquet, and Alvaro Pierri. 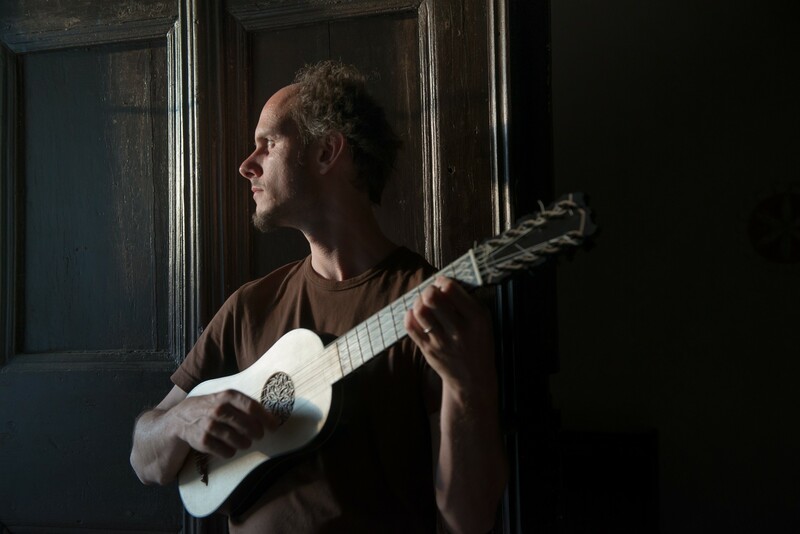 He teaches guitar and lute in Geneva and has given numerous conferences and master classes at institutions, such as the Juilliard School of Music, Schola Cantorum Basiliensis, Fondazione Giorgio Cini in Venice, Escuela Superior de Musica de Mexico, and the Ljubljana Academy of Music. He is a winner of different prizes and scholarships. 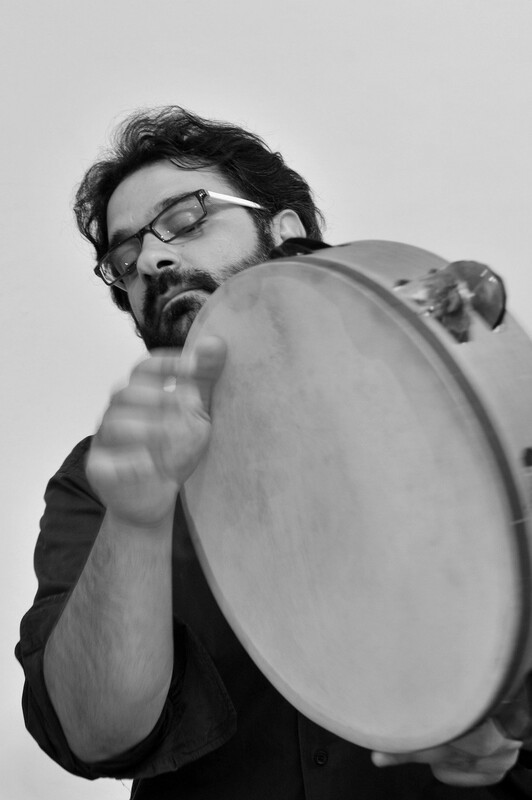 Percussionist Massimiliano Dragoni (1978) has performed and recorded extensively throughout the world with different ensembles, such as Lucidarium, Micrologus, Cappella della Pietà de’ Turchini (Cappella Napolitana), Complesso Barocco and Ensemble Elyma. He holds a Master’s Degree in Medieval Philosophy, his thesis dedicated to Boethius’ influence on medieval music theory. He regularly gives lectures and masterclasses on early and traditional percussion at important European music institutions. He is a founding member of the ensemble Anonima Frottolisti, and was the founder of Resonars – Accademia di Arti Antiche. In addition, he is a fervent researcher of Italian music, dance, folk-medicine and cooking traditions.